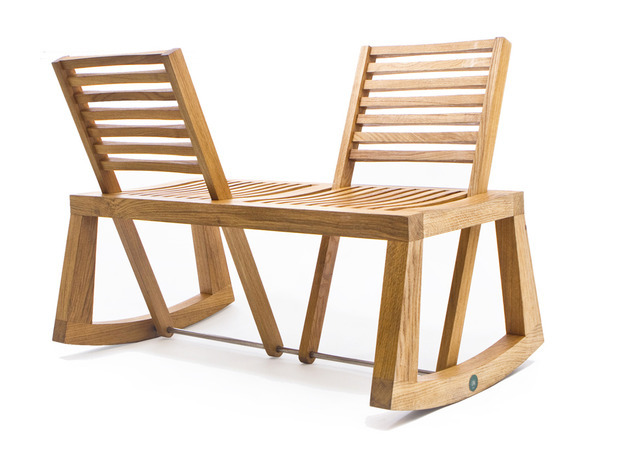 The Double View Bench from Outdoorz Gallery is a small but sweet two-seater that is big on style and sustainability. 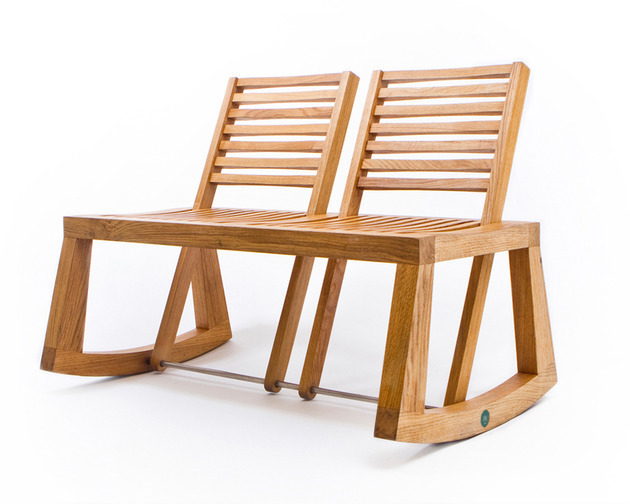 French design firm Chloe De La Chaise put a literal twist on the traditional Victorian love seat in her contemporary bench concept, which features a double backrest that pivots back and forth, allowing a pair to sit side by side or face to face. The bowed base allows you to rock gently. 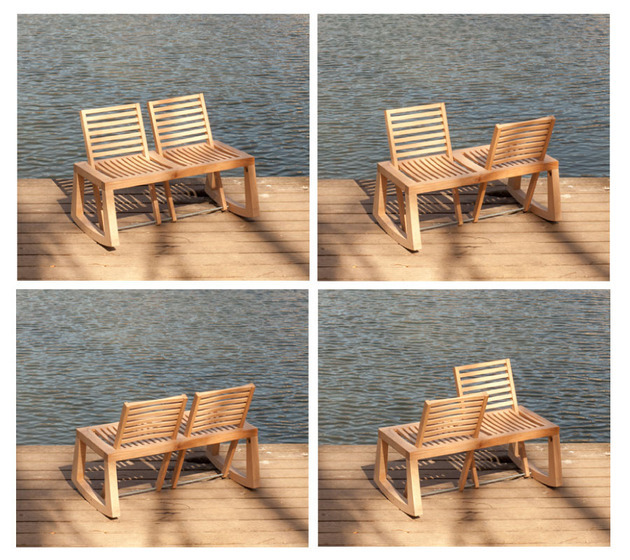 Crafted by a French cabinetmaker with work recognized by the Ateliers d’Art de France, the Double View Bench features quality construction and is made using sustainably harvested materials – of the four pieces of wood used, three come from certified forests in France, and the fourth is moabi, a naturally oiled African wood also sustainably harvested. Wood choices include chestnut, oak, robinia-acacia and moabi. With just 50 Double View Benches in existence, this limited edition piece is in high demand and can be yours for a price of 2979€. For more information on outdoor furniture, visit Outdoorz Gallery.